Bvlgari Rose Goldea brings Cleopatra's aura into modern femininity. Bvlgari Rose Goldea 90ml. EDP is a symbol of feminine beauty and charm. This scent is very seductive and full of self-confidence. Inspired by the magnetic personality of Cleopatra, who is considered the most beautiful woman in history. The aroma of Bvlgari Rose Goldea brings Cleopatra's aura into modern femininity. It is dedicated to a modern woman who is self-confident, charming and knows her prize. The sensual beginning of the fragrance opens with seductive roses, musk and sweet pomegranate. Everything is overwhelmed with refreshing bergamot juice. In the heart of the flower there is an exciting peach. Vanilla tones and olibanum combine with exotic sandalwood. This scent is as designed for daytime wear as for the evening passionate meeting. The Bvlgari Rose Golde fragrance is decorated with pink gold that symbolizes elegance, perfection and femininity. The bottle is designed in accordance with the Bvlgari jewelery tradition. 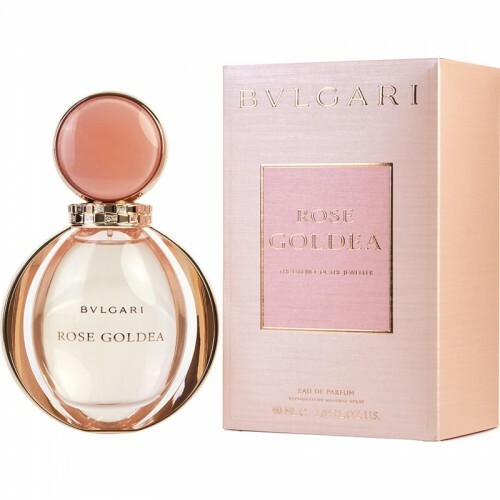 Women's fragrance Bvlgari Rose Goldea was launched in 2016. It is a real allegory of beauty and femininity. In creating this refined aroma, Alberto Morillas was inspired by the natural glitter of gold jewelry from the legendary collection of snakes. Your attention is offered luxury and elegance in one bottle. Do not miss the chance to pamper yourself with a new scent! Perfumed water Bvlgari Rose Goldea belongs to the wood-flower group of fragrances. A fascinating composition reveals an unmatched combination of citrus and a magnificent rose fragrance. The heart chord includes the tenderness of jasmine notes, the fragrance of a peony and the voluptuousness of a peach. The final triad, woven from the aromas of musk, olibanum and sandalwood, leaves behind a persistent attractive plume.